When you have an avocado tree, at some point you start wondering what else you can do with avocados beyond guacamole and garnishes for Latin American foods, though that’s a GREAT use for avocado. After branching out into smoothies with avocado (it gives them a wonderful creaminess), avocado truffles, avocado egg salad, I thought, “Hmmm, what about avocado and pasta?” I have no earthly idea what prompted this line of thought from me, given that I have an aversion to avocados being too warm (that baked avocado and egg thing that went around a few years back was gross! ), but the thought popped into my mind and to the google I went, searching recipes. It’s not a secret that I’m a big fan of salads that have a warm component to them. Whether it is a warm blackberry vinaigrette or adding freshly made buffalo strips, having something warm with my greens makes a salad feel substantial, like a real meal for me. 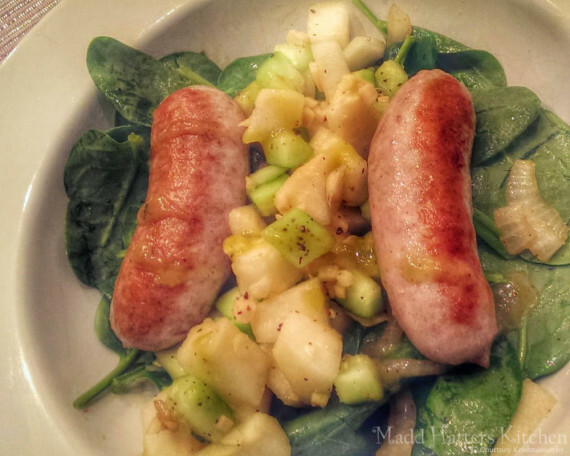 So when I was raiding my refrigerator the other night for things to pair with my baby spinach, it’s no surprise that my first instinct was to sauté or roast the pears I found. But then, I noticed the cucumber sitting next to it, and I decided to go a different route. This is one of those recipes born from a mixture of comfort foods. 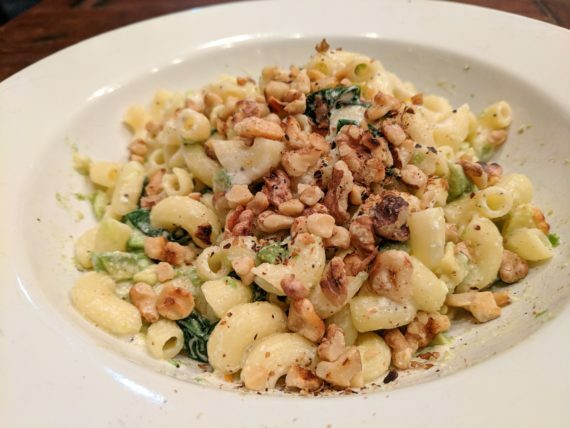 Macaroni and cheese is one of my favorites, and it’s not really mac-n-cheese to me unless I make it like I had it as a kid – with Velveeta. 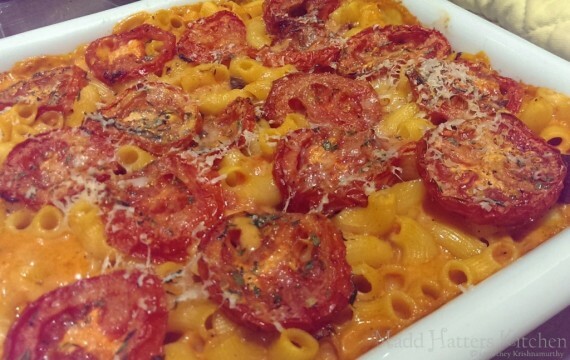 A few weeks ago I had a leftover hunk of Velveeta in the refrigerator, and I decided why not try this new recipe I saw on America’s Test Kitchen – a macaroni with tomatoes – with Velveeta cheese. Cuban food was not something that was easy to come by growing up in northeast Tennessee. Black beans and plantains weren’t in the grocery. I had never even heard of a Cuban sandwich. This all changed on a trip to Tampa. My mom and I ate at Columbia restaurant. 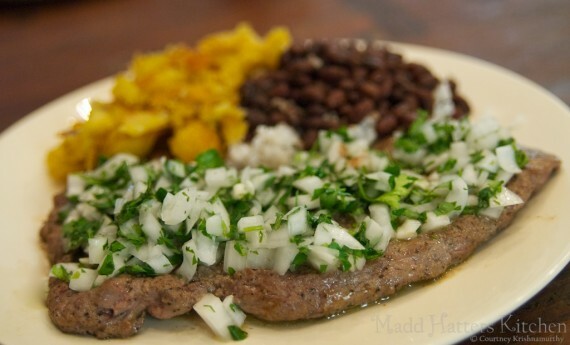 I had my first taste of black beans and rice and plantains, served on the side of this magical, flavorful thin steak which I’ve for years referred to as Cuban steak, but I’ve learned after many Google searches is actually called a palomilla steak. 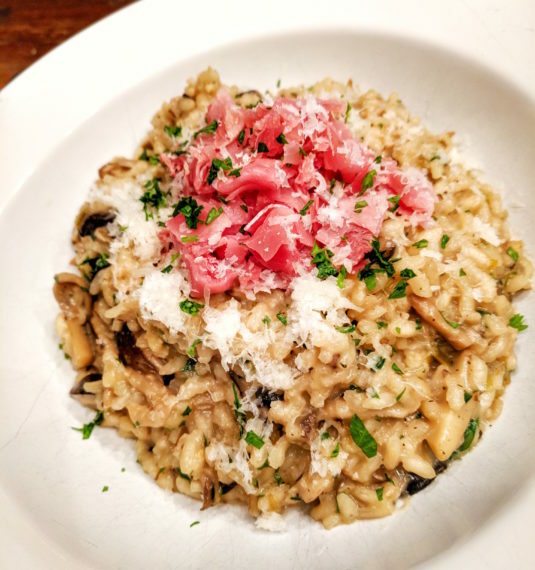 Initially I always slid the onions to the side, preferring the light flavoring left behind. But as I grew up, I learned to love onions, and the green stuff they mixed in with them, and this became my go-to dish at any Cuban restaurant.